Religion and Hip Hop brings together the category of religion, Hip Hop cultural modalities and the demographic of youth. Bringing postmodern theory and critical approaches in the study of religion to bear on Hip Hop cultural practices, this book examines how scholars in religious and theological studies have deployed and approached religion when analyzing Hip Hop data. Using existing empirical studies on youth and religion to the cultural criticism of the Humanities, Religion and Hip Hop argues that common among existing scholarship is a thin interrogation of the category of religion. As such, Miller calls for a redescription of religion in popular cultural analysis - a challenge she further explores and advances through various materialist engagements. Going beyond the traditional and more common approach of analyzing rap lyrics, from film, dance, to virtual reality, Religion and Hip Hop takes a fresh approach to exploring the paranoid posture of the religious in popular cultural forms, by going beyond what "is" religious about Hip Hop culture. 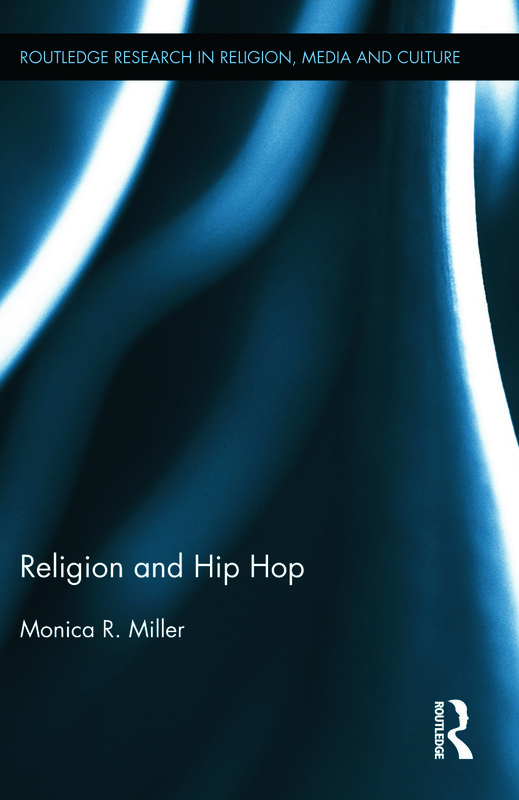 Rather, Miller explores what rhetorical uses of religion in Hip Hop culture accomplish for various and often competing social and cultural interests. Monica R. Miller is a Mellon Postdoctoral Fellow in the Humanistic Approaches to the Social Sciences at Lewis & Clark College, Department of Religious Studies. She is co-chair of a new American Academy of Religion (AAR) group entitled 'Critical Approaches to the Study of Hip Hop and Religion' and Senior Research Fellow with the Institute for Humanist Studies (IHS), Washington, DC. This series of Routledge monographs provides both new and established scholars the opportunity to publish original research in Religion, Media and Culture. The series includes a wide range of investigations of media in relation to religious practice and belief in any historical period or geographical domain. Media examined in this series include everyday objects such as statues, dolls, and photographs; visual media such as wood cuts, icons or illuminated manuscripts; and newer media such as radio, film, television, and Internet. Volumes go beyond focusing on how messages are delivered to passive audiences, and contribute to an evolving paradigm of understanding creative audiences for whom media are an integral part of lived religion. Studies draw on a variety of methods for their investigations.